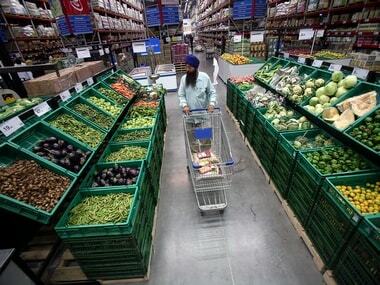 New Delhi: Wholesale inflation eased to 3.57 percent in September as food articles, led by vegetables, witnessed softening of prices. 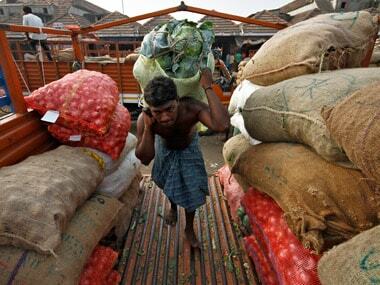 The wholesale price-based inflation, reflecting the annual rate of price rise, in August stood at 3.74 percent. In September 2015, WPI inflation was (-)4.59 percent. Wholesale Price Index (WPI) inflation in vegetables witnessed deflationary pressures and was recorded at (-)10.91 percent in September. Inflation in this category had scaled a high of 28.45 percent in July. 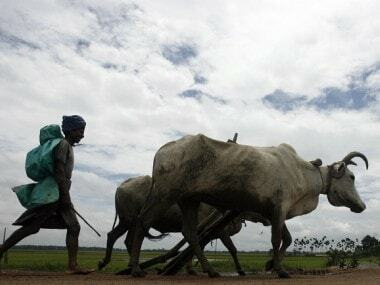 This was aided by inflation data for onion, which was at (-)70.52 percent. Pulses inflation continued to rule high at 23.99 percent in September, according to the Commerce Ministry data. Potato, a daily consumable vegetable, witnessed maximum inflationary pressure at 73.31 percent. Inflation in fruits rose 14.10 percent during the month. Overall, the food inflation basket showed good moderation with inflation at 5.75 percent in September, as against 8.23 percent in August. The WPI, which was in the negative zone from November 2014 to March 2016, had been rising for six months till August. In September, the inflation has slowed. The inflation print for manufactured articles read at 2.48 percent in September, as against 2.42 percent in August. The rate of inflation in sugar was at 32.92 percent and that for petrol was 1.25 percent. The WPI inflation for July has been revised upwards at 3.72 percent, against provisional estimate of 3.55 percent. The wholesale inflation in September is in sync with the retail inflation which eased to a 13-month low of 4.31 percent in the month. The all-powerful Monetary Policy Committee headed by RBI Governor Urjit Patel last week cut benchmark interest rates by 0.25 percent to 6.25 percent. While he had signalled more tolerance towards inflation, the easing in CPI data was in line with the RBI's forecast for average 5 percent inflation in fourth quarter of 2016. This, many expect, would create more room for interest rate cuts.